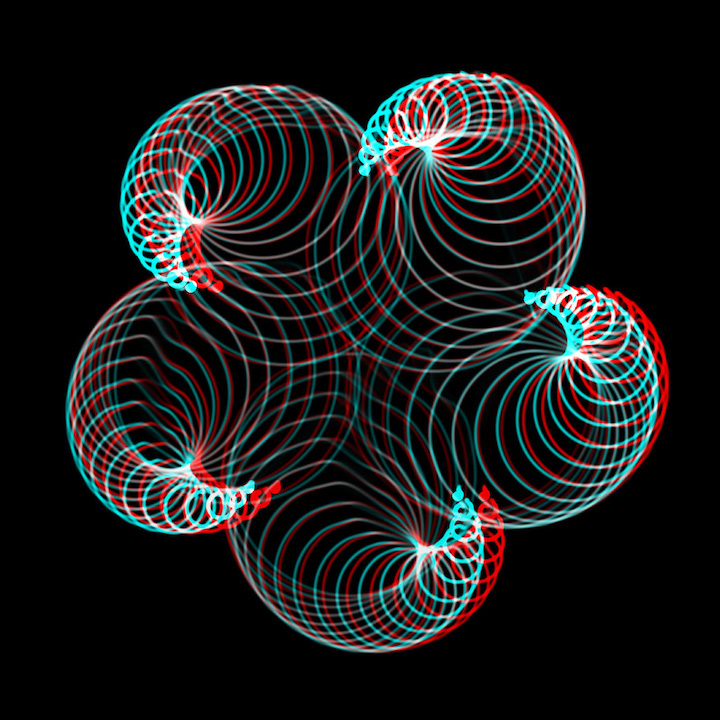 Jerobeam Fenderson creates audiovisual music where the images are created by soundwaves on an analog oscilloscope. Although the idea of “seeing music” is hard to grapple with, the close correlation between image and sound makes for an immersive sensory experience. 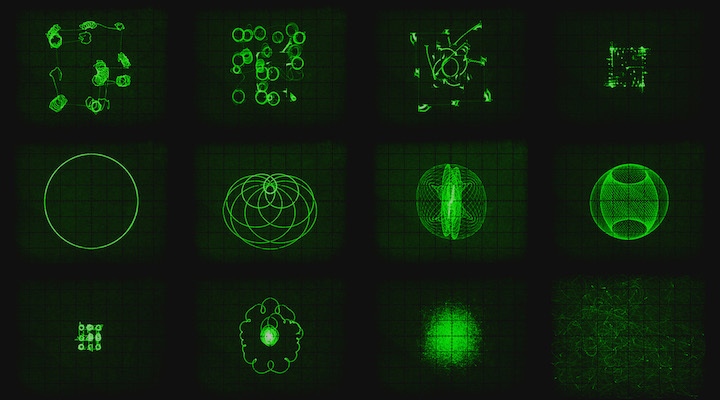 Minimalistic green lines form abstract lissajous shapes that mutate into complex vector graphics, using the left and right audio channels as X and Y coordinates. 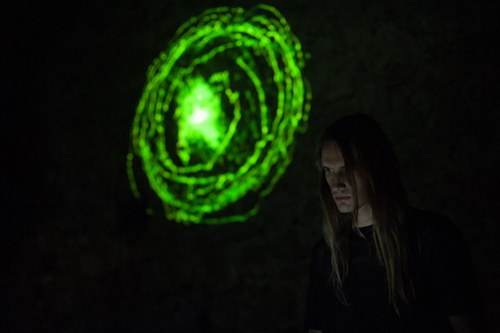 With a background in electronics and audio engineering, Jerobeam began experimenting with technical approaches to composition around 2012, and has since developed his own form of expression with Oscilloscope Music. The first track of its kind was “Nuclear Black Noise”, a composition consisting entirely of sine waves, and it was followed by ever-evolving audio-visual live shows, and an album in 2016. Oscilloscope Music turns the transformation of abstract concepts into something tangible that works on an emotional level outside of its technical context. Using this approach, math doesn’t seem like the dry concept it is often seen as, but rather a key to the fundamental principles of nature. A prime example is the out-of-this world tutorial “How To Draw Mushrooms On An Oscilloscope With Sound”, which we used in our opening at Electric Forest in 2016, as well as incorporating modified or specifically-designed Oscilloscope works at other events since then.